UPSC Civil Services Mains examination is an entirely different (subjective written-exam) when compared to Prelims (objective and OMR-based). In the Main exam, the most crucial aspect is to know the right strategies and get personal feedback to ensure that your answer structure matches UPSC standards. 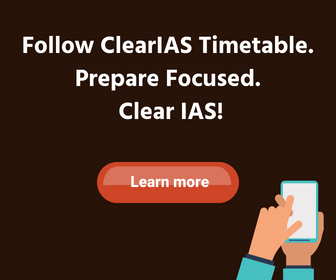 ClearIAS program for UPSC CSE Mains has the following components. Update: For 2018 Mains, we have announced ClearIAS Mains Marks Booster Program which will be conducted offline in various cities across India. If we launch other programs online like personalised feedback on answers, we would let you know via email. Prior to 2017, ClearIAS conducted these programs in this platform itself. 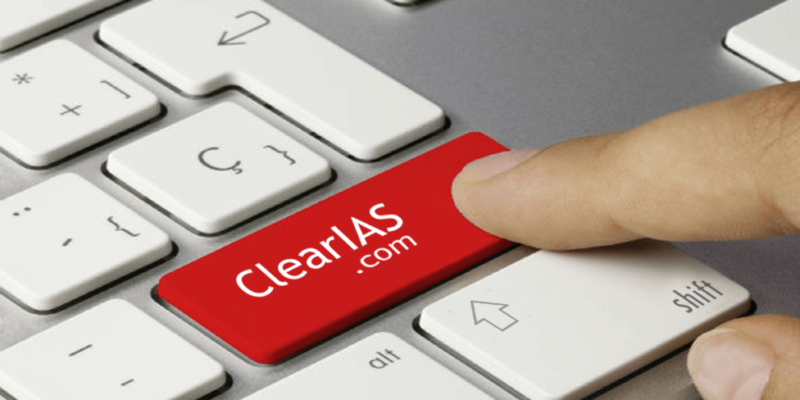 From 2017 onwards, we have migrated our Mains Program to the ClearIAS Account in IASforums.com. This was done to ensure that ClearIAS website does not get cluttered with a lot of daily questions/answers to hinder the user-friendly nature. You can write your answer to the question topics created by ClearIAS under each thread. Due to time constraints, ClearIAS Team won’t be able to review all answers, but it may get reviewed by peers. Aspirants who regularly participate in the program will get a clear idea of the most important topics, and clues about the major points to be added in each answer. ClearIAS.com – Repository of Detailed Analysis of Current and Conventional Topics – Helps you learn faster! With thousands of topics and lakhs of users, it is extremely important to divide resources to ensure that services of ClearIAS remain user-friendly and fast as ever before. So just like our flagship service – ClearIAS Prelims Program with more than 1,00,000 registered users – is delivered from a dedicated platform, our Mains Program too will be provided from a separate channel – from the same brand. ClearIAS.com will remain the parent website with fast-to-learn contents. We will keep coming up with excellent write-ups by experts on all important topics – current and conventional. Aspirants can click this link to browse our archives for Answer Writing Practice (AWP) and Full-Topic Mains Mock Exams. ClearIAS Team had reviewed many of the answers and provided guidelines and tips on how to frame a good answer. As most of the questions are still relevant, you may practice by writing answers to those questions in the comment section. In previous years ClearIAS.com had provided the Answer Writing Practice and UPSC Mains Mock Tests for free. 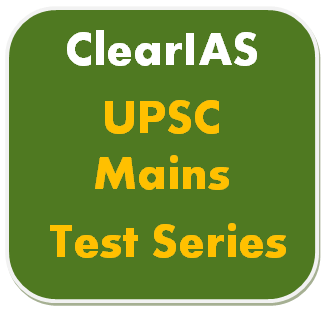 There were a lot many direct and indirect questions in the actual UPSC exam from ClearIAS Mains Program. Details of the questions are given below. What matters is not your knowledge, but how well you perform in the Exam hall! Irrespective of your degrees, knowledge and skills what speaks about you in a UPSC mains exam is your answer sheet. The examiner does not know you; he has access to only your answer booklet and nothing else, and he evaluates each candidate based on what is presented in the answer sheet. So it is extremely important to frame your answers in the most impressive way, within the prescribed time limit. Knowledge about framing high-quality answers in mains exam is necessary to make your answer sheets stand out. Proper answer writing practice, a good understanding of the latest UPSC syllabus, and familiarity with current topics are important prerequisites of clearing IAS mains in flying colours. It is with this aim of equipping aspirants with the latest requirements of UPSC mains exam we launched our UPSC Mains Test Series. All the best! When r u starting the mains 50 writing practice this year. you are right Mr. Chhagan . I also want this great ias platform should start for hindi medium aspirants . What I should do from now as to clear ias. I am a student of class 11 arts…. i am a small town upsc aspirants and after few months upsc preparation i feel there are very few good coaching institutes as well as online test series available in market for hindi medium aspirants , please start your precious test series and study material for hindi medium aspirants . Nice work ClearIas.com, keep your work. sir u r not uploading current plz upload.. I need pre and mains preparation for 2020..